Sometimes, I don’t even try to modify a recipe to make it low carb. I either want the real deal, or I don’t want it at all. But some recipes lend themselves so easily to be “ketofied” and I honestly don’t miss the original at all. This is one of those recipes. 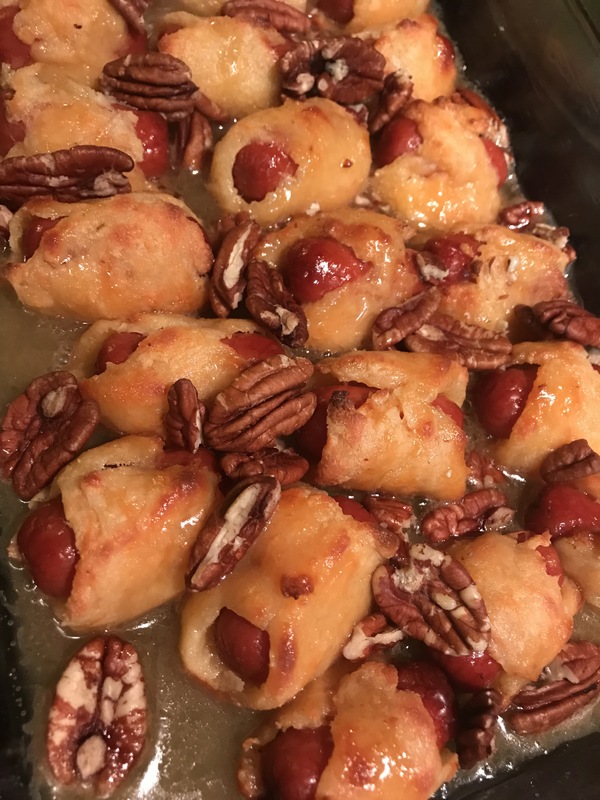 I’ve shared one of our favorite dishes before, Sugar Baked Smokies and while I love that, it doesn’t fit into a low carb eating plan. 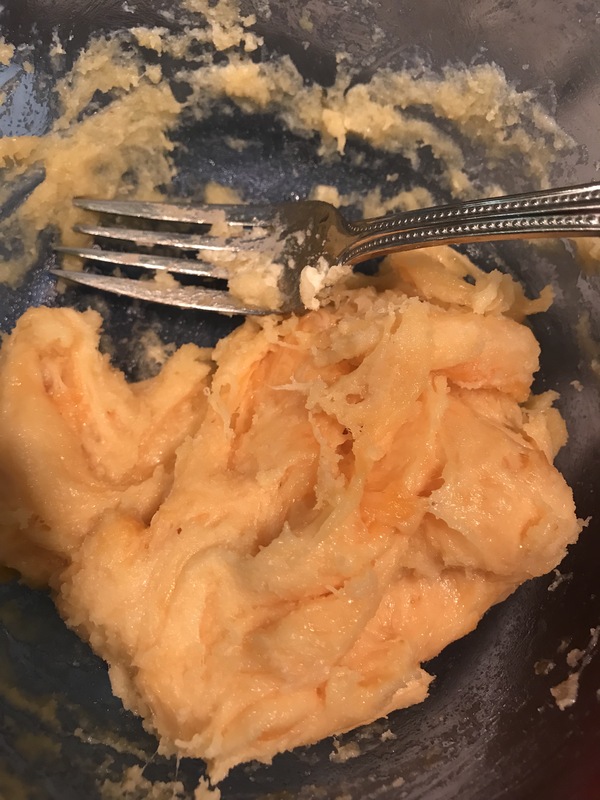 I knew that the fathead dough I use to make low carb pizza is so versatile that it may work in this dish as well, so I gave it a few test runs. Sure enough- it works and tastes great. I don’t miss the extra sugar from the original. Yes, there are some dirty keto ingredients here from the sugar free maple syrup. 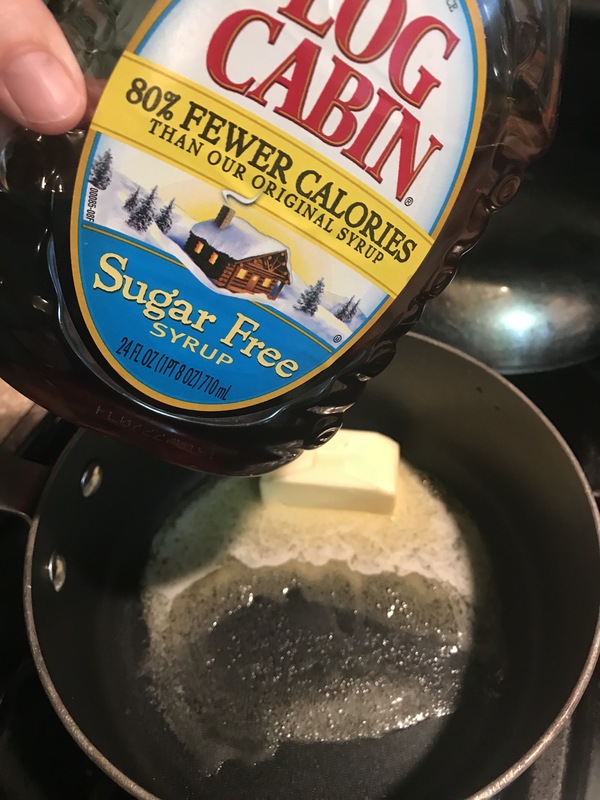 So if you are one to avoid artificial sweeteners, you could definitely make this with just a melted butter, vanilla, and pecans as the sauce/topping and omit the maple syrup. I don’t have any major reactions to ingredients such as Aspartame and Splenda, when used in small quantities and this is not a frequent meal that I would have all the time so for me – the recipe using the Sugar Free Maple Syrup works fine. 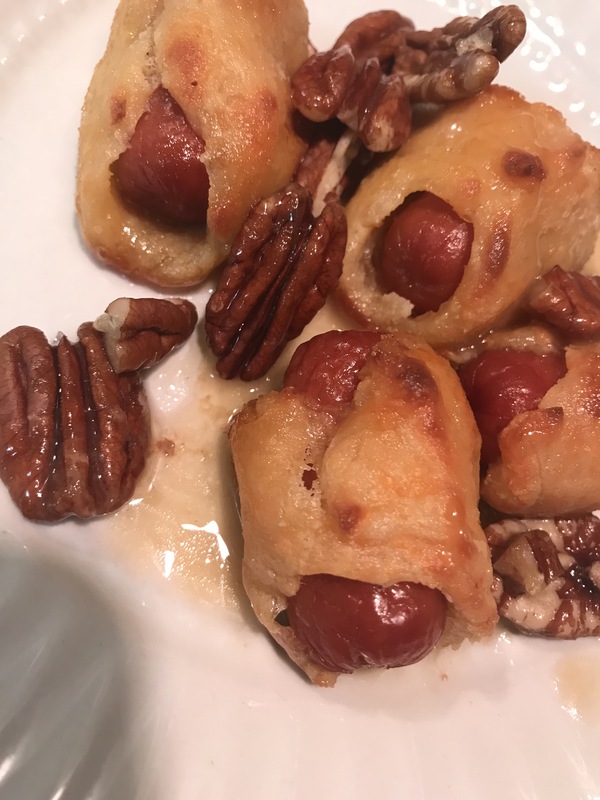 For a simpler use of this recipe, you could forgo the maple sauce part altogether and just have the dough wrapped baked smokies plain. Hello – Cocktail Party! You could serve these up with some melted cheese dip, chili dip, mustard sauce . . . you see where I’m going here. Either way you choose to make these, they are really a good little recipe to try. 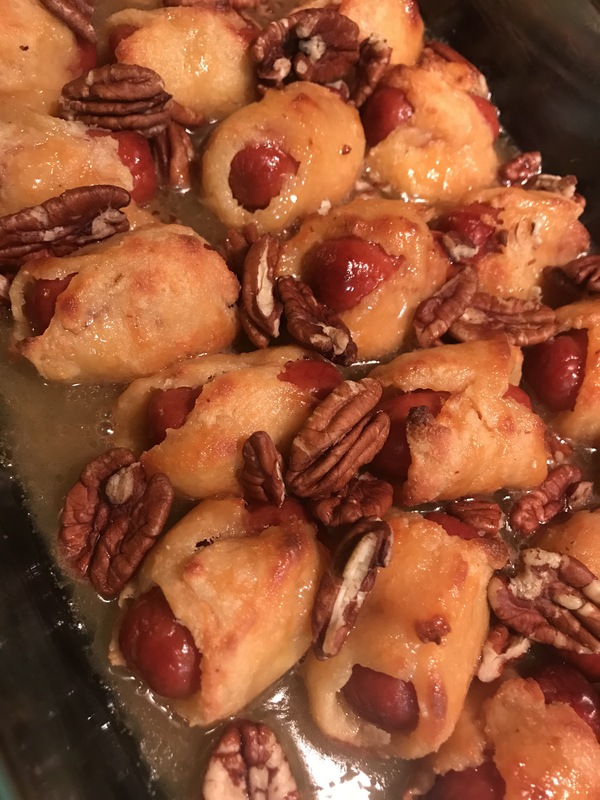 Click Here for a quick jump to the Low Carb Maple Smokies recipe, if you don’t want to see the pictures or my play-by-play comments. First, make your fathead dough. Note that I just made half of the recipe so the amounts in my pictures will look smaller. I was out of mozzarella cheese, so I used a colby blend and a little parmesan. Mozzarella is preferred because of it’s meltability (is that a word?) and it lends itself to being more stringy gooey when melted. I mixed in the almond flour and a little beaten egg to form a dough. carefully form the dough around each smokey. They don’t have to be pretty, folks. I love my silicone baking mats, but you can use parchment paper as well. Bake these until golden. If you are not doing the maple sauce part, and serving the smokies plain then continue to bake until the dough is completely cooked through. Transfer the baked smokies into a single layer in a greased 9 x 13. Again, I made a smaller batch so my dish was smaller than this. Combine your butter and syrup, and vanilla in a saucepan. Heat and stir until melted. Pour your maple sauce mixture over the smokies. Top with pecans if you like. I’m nuts about nuts! If you want to go more savory, you could forget about the maple syrup sauce and top with bacon crumbles, maybe some shredded cheese. Anything you like. I also had enough (since this batch was all for me :)) so I had these little gems as leftovers and they were good reheated in the microwave. 1 1/2 C shredded mozzarella cheese, or a blend of mozzarella and other cheeses. 1 pkg little smokies sausages. Not flavored ones as they tend to have more carbs. 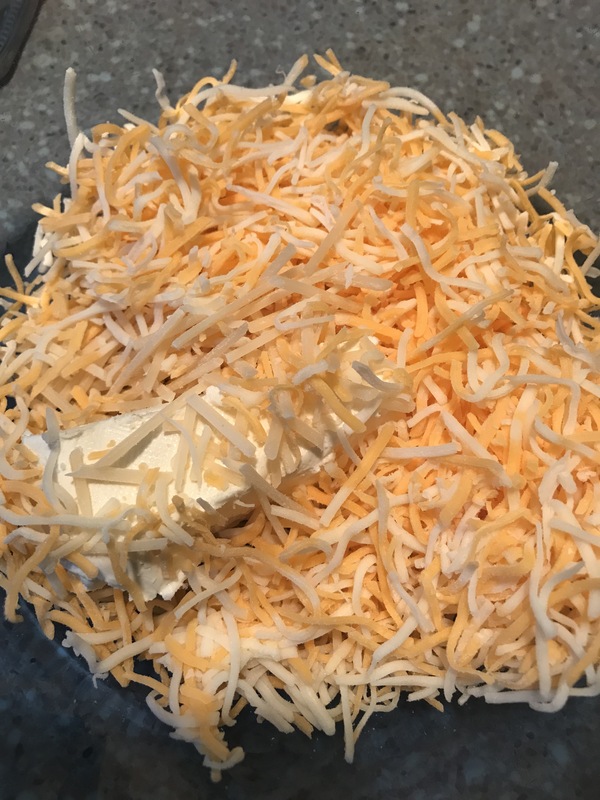 In a microwave safe bowl, combine the cream cheese and shredded cheese. Microwave for 1 minute, stir and then microwave for another 20-30 seconds. Stir and then mix in Almond Flour and beaten egg to form dough. Set aside. 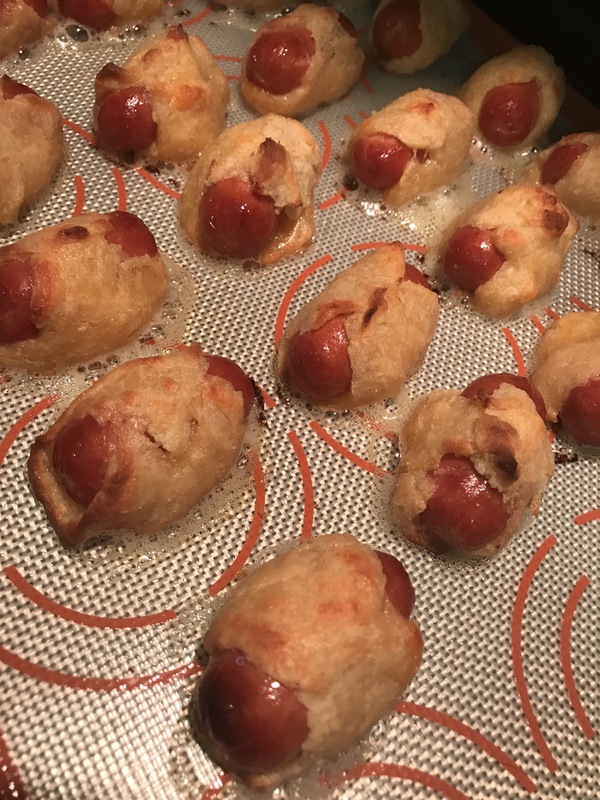 Take your smokies out of the package and dry them off a bit with paper towel. 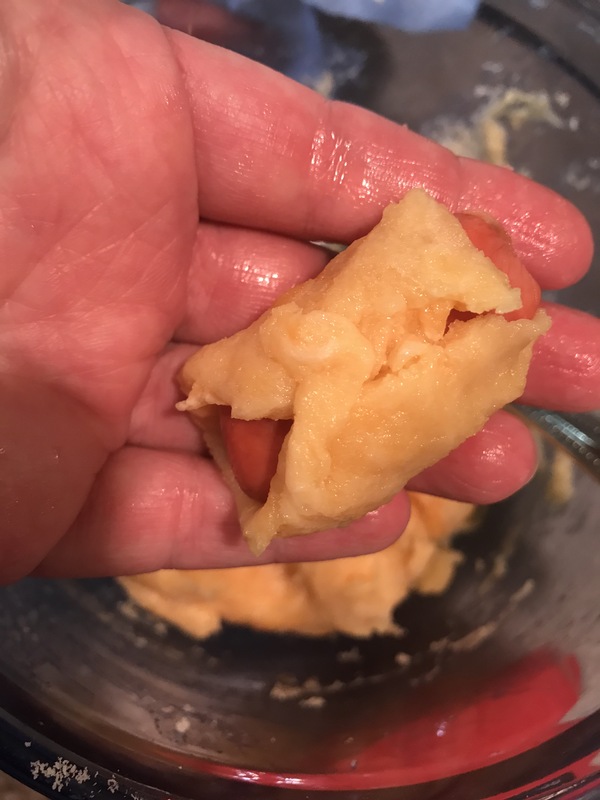 Wet hands and pull off a little bit of dough, and flatten it out with your hands and then gently wrap it around the little smokie. Place on a parchment paper or silicone baking mat on a baking sheet. 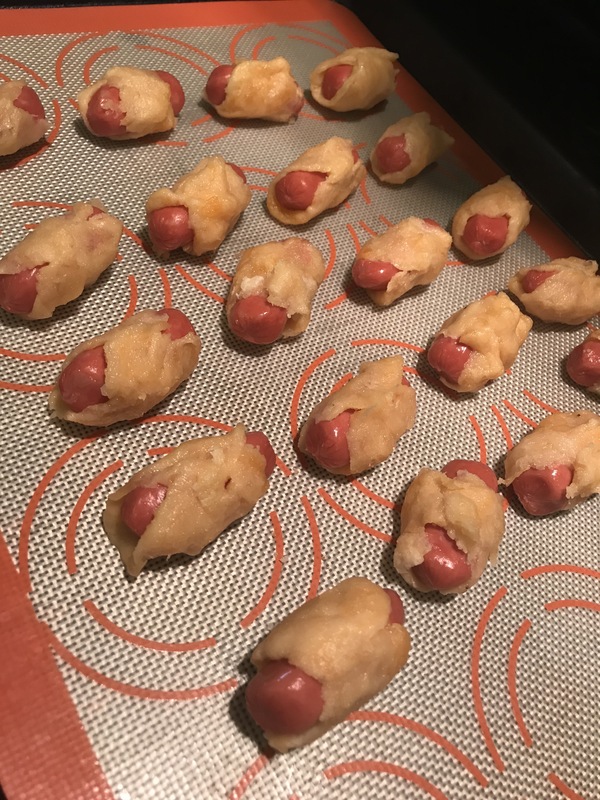 Have at least 1/2 inch around each dough wrapped smokie so they don’t touch. Keep repeating until you have used up all of your dough or smokies. Bake these in the oven for around 10 minutes until the dough is golden and almost all cooked. **Note** If not making the maple sauce and serving the smokies plain, then continue to cook them until the dough is all cooked through. 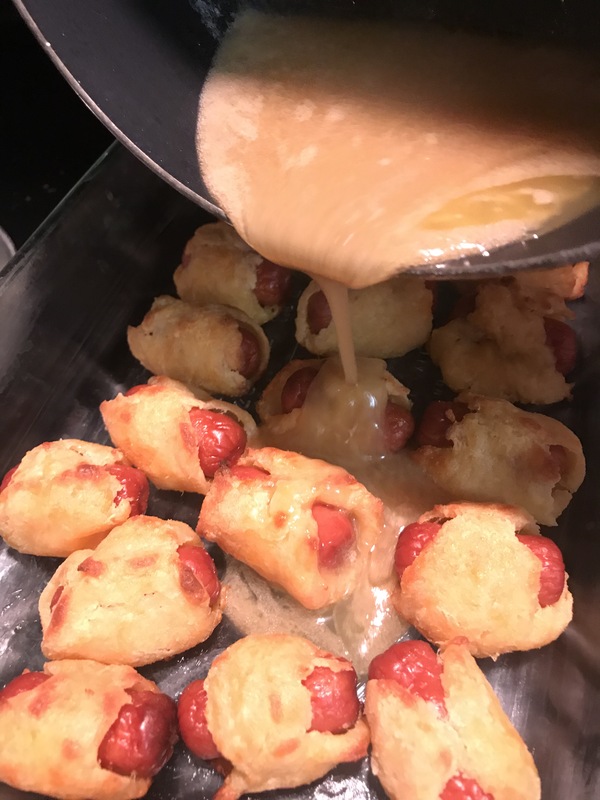 Transfer the dough wrapped smokies to a 9 x 13 pan that is well greased with butter or cooking spray. Place the smokies in the pan in a single layer. Combine the 1/2 stick of butter, vanilla, and sugar free maple syrup and melt together in a saucepan. Pour this melted sauce over top of the smokies. Top with Pecans if desired. Bake in 425° oven for another 5-7 minutes until the dough is all cooked through, and maple butter sauce is all warm.